A gasoline spill has the potential to create a very dangerous situation; gas is highly flammable, and the fumes cause dizziness and nausea. Cleanup methods vary by the size of the spill; a homeowner can manage a small spill. 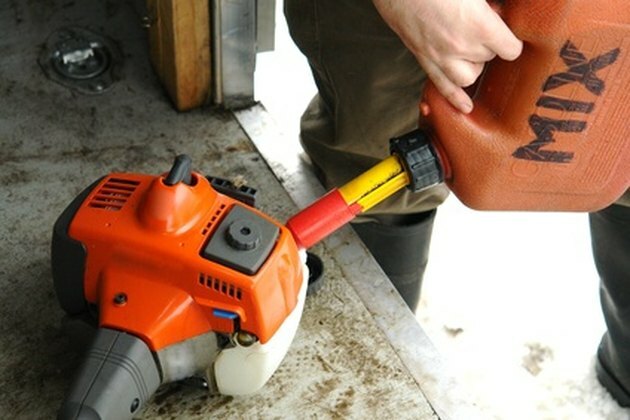 Safely clean up gas spills. Unplug all electrical appliances, lights, lamps and radios. (A spark has the potential to ignite the gasoline fumes, causing a fire.) Shut off furnaces, stoves and any other machinery or appliances that have pilot lights. Extinguish lit cigarettes and candles. Open windows and garage doors for ventilation. Close doors and windows attached to interior home space to help prevent the fumes from penetrating and creating a more dangerous situation inside the home, as the fumes are highly flammable. Open interior windows in the home for gasoline fume ventilation. Sprinkle a thick layer of the cat litter over the spill and allow it to sit for 20 to 30 minutes. Sweep up the litter and place it in the fire-safe can. Move the can outdoors and away from the home. Call your local fire department for disposal instructions; every town and municipality has its own laws and ordinances regarding disposal. Apply the petroleum emulsifier or trisodium phosphate to the garage floor and scrub with the scrub brush. Rinse well with plain water. Repeat Steps 8 and 9 a minimum of three to four times.